I was pleasantly surprised by exports of my new barbecue rubs to Asia. Apparently folks in Asia are using my Jailbird Chicken, Moola Beef, and All Purpose rubs in Asian dishes. My seasoning rubs are extremely versatile and I’ve been having fun with them at home when I grill and cook dishes from all over the world. 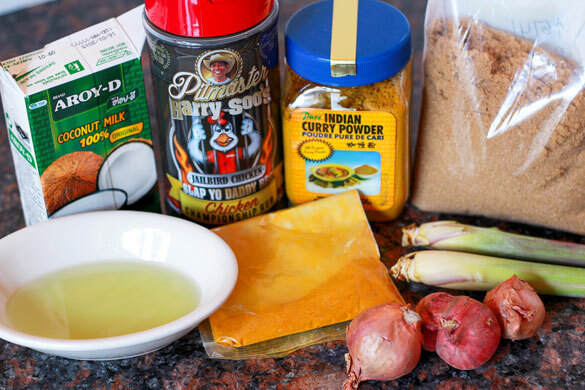 Based on the increasing popularity of my seasonings for use in home cooking, I’ve decided to feature an Asian flair in this recipe post. 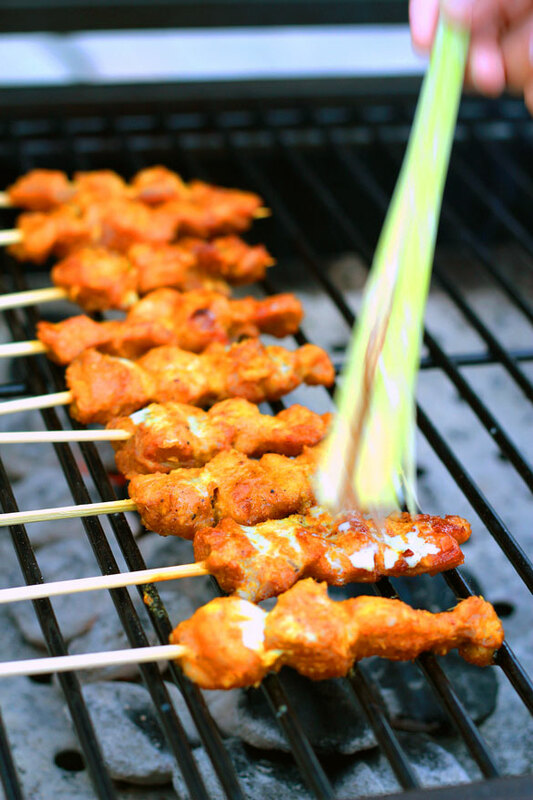 Just like there are many styles of American barbecue, there are many styles of Asian satay which are little skewers of marinated meat cooked over an open flame. 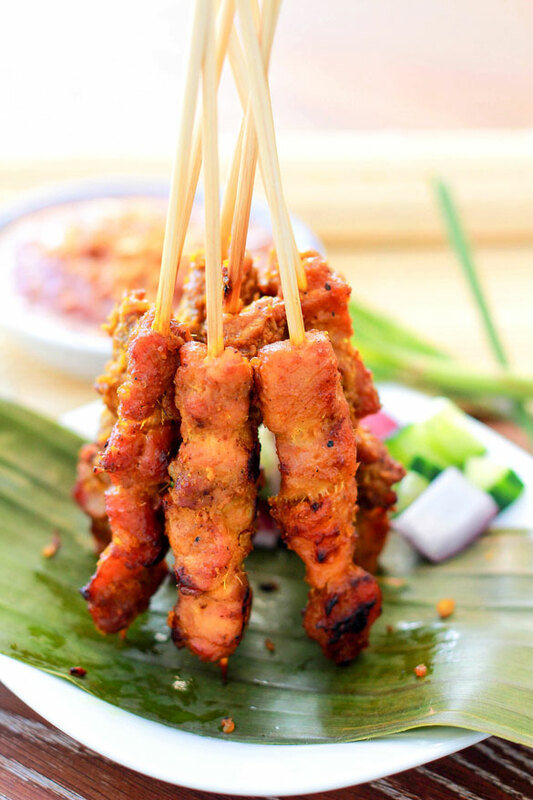 You can be in Bali or Bangkok, or any city in Asia to see that satay is loved everywhere. 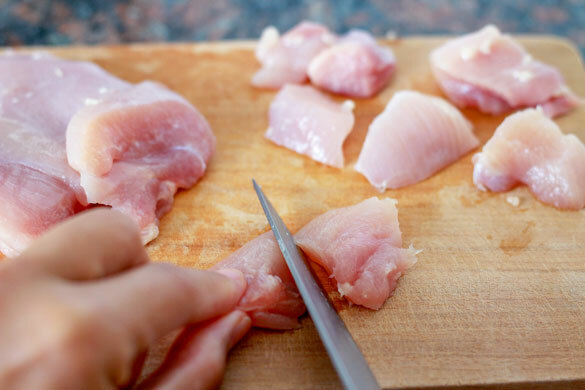 It can be made from pork, chicken, beef, or other animal parts. Some are spicy, some are sweet, some are served with a peanut dipping sauce, and some are served with sweet soy glaze. 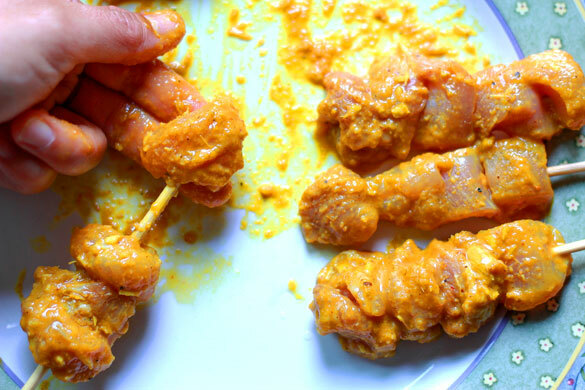 Most folks in America have probably experienced satay in a Thai restaurant with the accompanying spicy sweet peanut sauce. Pulse spice paste ingredient in a food processor into a smooth paste. 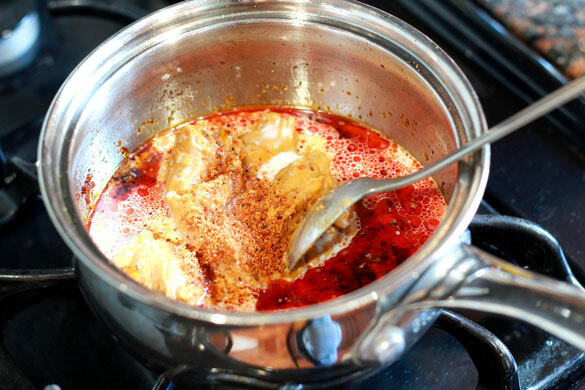 While chicken is marinating, prepare the sauce by sauteing the curry paste in oil. 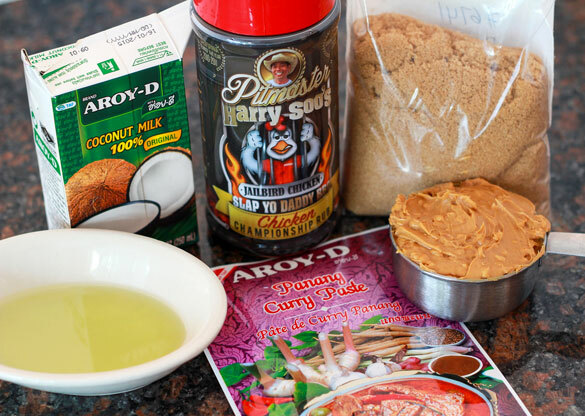 Once the curry paste becomes fragrant, add the brown sugar, peanut butter, and coconut milk. Simmer for 5 minutes. Add 3 tablespoons of water to thin the sauce to your liking. Add the SYD Chicken Rub to taste. Remove and keep warm. Barbecue over hot coals (medium heat) until cooked, basting with a bit of cooking oil (use a lemon grass stick, shredded on one end, if you want an authentic Asian basting brush)5-6 minutes on each side. 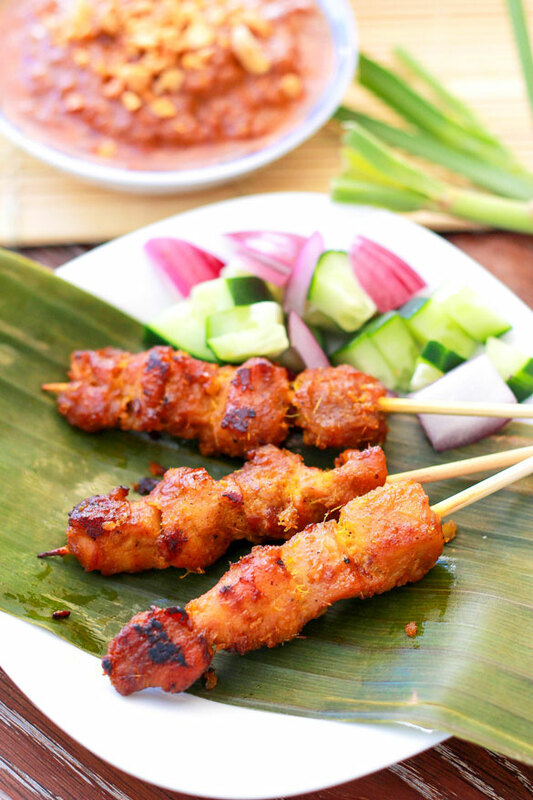 Serve with peanut sauce, cubed cucumbers and red onion pieces. Slap Yo’ Daddy Jailbird BBQ Chicken – so good, you’ll go to jail if you make it! So this is a true story. My husband saw this picture on Instagram, and literally hunted me down in our home, shoved his phone in front of my face, and said “Why can’t you make these??? THIS is what I want to eat!”. I told you we love fresh rolls! And I am definitely going to try this recipe!